There is no longer a need to commit to a specific number of training hours (16 hours) or accredited training but you can still use this system until November 2016. Competencies are characteristic sets of behaviours, which have been shown to be associated with achieving successful outcomes in organisation. They are underlying behaviours, which enable people to ‘shine’ in a particular role. The behaviours can be used as the standard of competence required for each legal role; and also for solicitors to develop their applicable competencies further so that they continually hone their skills. In-house Solicitors have full responsibility for undertaking their training and development to ensure that they comply with Principle Five of the SRA Principles (2011), namely that they are able to deliver a proper standard of service in their practice areas. There is also an expectation that solicitors will continue to ensure that they can comply with Principle Five during their legal career. This will involve Solicitors reflecting on their current performance levels and further development required, not just on their technical expertise. Are you aware of the contents of the Statement of Solicitor Competence? The above levels in the Threshold Statement apply to the seven sections of the Technical Competence B), you need to assess yourself against the appropriate level. The ‘Threshold Standard’ for newly qualifieds is set at number three – Autonomy. From this information you will assess your learning activities for your Technical Legal Competence B) so that you remain up to date and comply with Principle Five. 1. Review all the material available on the SRA website links above. This will help you to determine what you need to do to comply with this new approach. You can then make an informed decision about what changes if any you need to introduce to learning and development system your organisations uses. 2. Competence A2 requires that you reflect on your capability and potential in your day-to-day role for your organisation, and that this is documented. So now there is a requirement for in-house lawyers to self assess their skills, development needs, and potential. The first starting place is to decide on your personal and management goals for your current position and potential roles in the future, and document these. Or update these if you have documented them in previous appraisal meetings. 3. If your organisation has a system in place for self-assessment then that will suffice. If not then there are templates within The In-house Lawyers Toolkit by Richard Tapp and myself (published by the Law Society) or you can use the SRA templates provided on their website. For busy in-house lawyers and teams I can tailor your organisational documents to ensure this supports the new SRA Statement of Solicitor Competence. e. Prioritising your learning and development needs. 5. For Technical Legal Practice B, you will also need to review the Threshold Statement and decide which level you are. If you are newly qualified then level three is the appropriate level. NQ’S also need to review the Statement of Legal Knowledge against the requirements of the legal areas they are or going to be practising law. 6. Following your self-assessment process, a ‘development’ plan will need to be completed. The SRA have provided a Development Plan template for you to complete if your organisation does not have one for their lawyers. 7. When completing your organisation’s or the SRA’s development document, you will need to set out how you are going to address your identified ‘areas for improvement’ over the next 3/6/12 months. The time period will depend on your organisation’s appraisal system. 8. Please note that there are now lots of different methods to address learning needs that are recognised as appropriate by the SRA. Choose from the variety of different development activities available either from the SRA website or from our book or your organisation. To assist you I have designed specific coaching package tailored to the Competencies A, C & D called Documenting your Brilliance ™. This is particularly effective for sole in-house lawyers. • When the activity was completed.’ From SRA website 6th March 2016. You may also include what could have been done better and how. What are you going to do differently in the future? It is strongly recommended that before you complete your application for renewal in November you have at least completed either your organisation’s development plan or the SRA Development Plan template. 2. How to introduce a competency based assessment and development process for you and your legal department that supports both the SRA Statement of Solicitor Competence and your organisation’s requirements. 3. Cost effective training or coaching package designed to support Competencies A, C and D.
Ann Page is a Top 100 Lawyer, with an impressive CV over a 28-year career as a senior in-house lawyer delivering first class legal services. She has over 17 years experience of competence based systems and was instrumental in putting together seven specific competencies for lawyers. 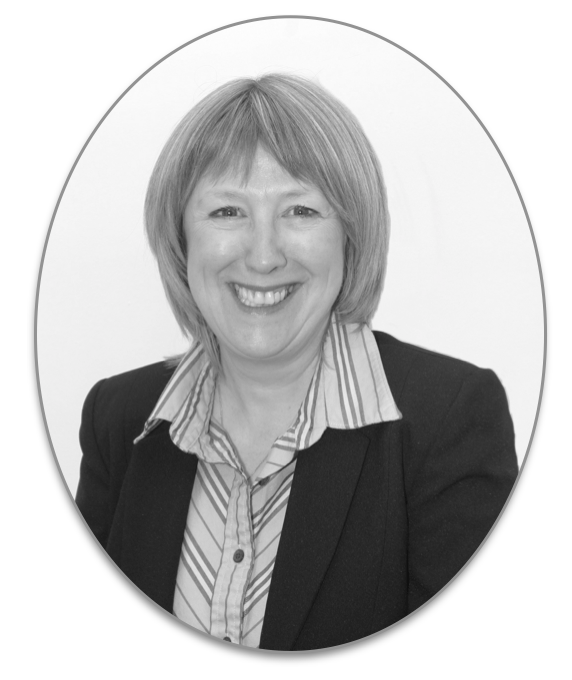 Ann has delivered leadership, management and interpersonal skills training for the last 13 years to nearly 7000 lawyers. She holds an HNLP certificate in coaching as well as being a certified NLP Master Practitioner, a member of the Professional Speakers Association. She set up a dedicated website to in-house lawyers called Managing External Legal Resources which is named after their first book of the same title. (1) Introduction: This disclaimer governs the use of any report provided by Ann Page, Beyond the Brief Limited via any website. By using this report, you accept this disclaimer in full. (2) Credit: This disclaimer was created using an SEQ Legal template. (3) No advice. The reports so provided contain information about subjects that are relevant to in-house lawyers. The information is not advice, and should not be treated as such. (4) No representations or warranties: To the maximum extent permitted by applicable law and subject to section 6 below, we exclude all representations, warranties, undertakings and guarantees relating to the report. (5) Limitations and exclusions of liability: The limitations and exclusions of liability set out in this section and elsewhere in this disclaimer: are subject to section 6 below; and govern all liabilities arising under the disclaimer or in relation to the report, including liabilities arising in contract, in tort (including negligence) and for breach of statutory duty. (6) Exceptions: Nothing in this disclaimer shall: limit or exclude our liability for death or personal injury resulting from negligence; limit or exclude our liability for fraud or fraudulent misrepresentation; limit any of our liabilities in any way that is not permitted under applicable law; or exclude any of our liabilities that may not be excluded under applicable law. (7) Severability: If a section of this disclaimer is determined by any court or other competent authority to be unlawful and/or unenforceable, the other sections of this disclaimer continue in effect. (8) Law and jurisdiction: This disclaimer will be governed by and construed in accordance with English law, and any disputes relating to this disclaimer will be subject to the exclusive jurisdiction of the courts of England and Wales.